Ever since I was a child, I dreamed of serving a mission for the Church of Jesus Christ of Latter-Day Saints. Like most LDS guys, I was excited to get my mission call and help others understand what has brought so much happiness and love to my life. I remember the day I got my mission call and everyone asked the typical question we all get: “Where would you want to go?”, and like any other pre-missionary, I gave the typical “Wherever the Lord sends me, I’ll be happy,”…but then I would add that I really want to go to Los Angeles! I’m not sure why I said Los Angeles, to be honest; I think I wanted to serve where I could still see a beach and feel the comfort of feeling like being back home living by a Florida beach. Or maybe it was because I thought going to LA would feel like serving a foreign mission, but with the comforts of living in the States. The time came when I opened my mission call, and as I read the call, anticipating where I will be going, where I will be living for 2 years, I read “You will be serving in the Los Angles California Mission, bilingual-speaking”! I could not believe it! I was actually going where I wanted to go! But little did I know, I was about to go through something that no missionary ever expects to experience. The first year of my mission was amazing! The first area I served in was Manhattan Beach. I felt the comfort of feeling like I was still at home and I served in an area where I came to love the members and the people I met. I met one of my favorite people (Dede), who is to this day a blessing in my life. I got to meet people from all around the world, as I was transferred to different parts of LA and I felt like I was having the best time of my life, like I always dreamed a mission would be. I was on Cloud 9 about a year into my mission. It was then that we started hearing things at church meetings about something called Proposition 8. As missionaries, we have no connection to the world; we don’t watch TV, listen to music, call home (we could email family once a week and call home twice a year), so we had no idea what Prop 8 was about. Little did I know this was about to change my mission as I had known it. The Church that year took a rare stance and encouraged members of the Church to actively promote and drive votes to pass Prop 8. For anyone who needs more details on Proposition 8, you can check out Google ;). 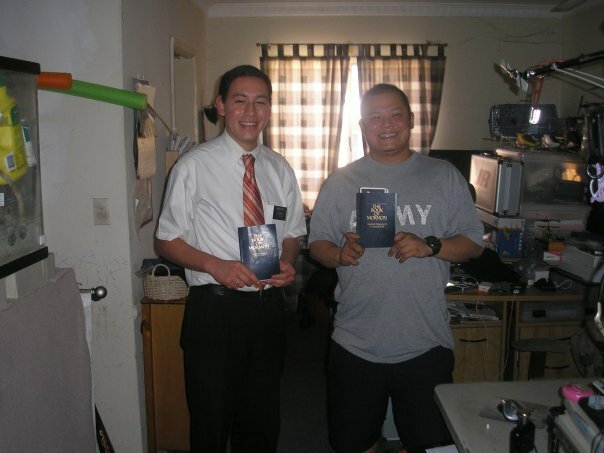 As missionaries, we are constantly out knocking doors, talking to people on the streets, dressed up in church clothing with a tag that states that we are missionaries for the LDS church. If you ask most non-LDS people, they recognize who we are and which church we’re part of, because they’re used to seeing young missionaries like us with our white shirts and ties. During the debate on Prop 8, our attire became a target, our white shirts made us stand out, and we became the face of the church on the streets on LA. Let me paint a picture for you on being a missionary in Los Angeles during Prop 8. Imagine seeing members of the Church on street corners with signs supporting Prop 8, and watching other people stopping at those street corners to pick fights with members. Imagine walking the streets as a young missionary and being spit at, getting cussed out, and having random strangers yell at you as if you had just murdered their child. Mind you, missionaries are not involved with any political activism. Your job is just to teach people about Christ, and we really didn’t have any personal involvement with Prop 8; we couldn’t even vote for or against it, so we had little to no involvement and little knowledge of what was actually happening. I was really becoming angry at what was going on, I didn’t understand how people that didn’t support Prop 8 could quickly be so nasty and vicious to us missionaries. Weren’t they supposed to be spreading love and acceptance for all? Weren’t they suppose to be fighting for human rights? Yet, as a human being myself, I felt like I was a target, that I was being discriminated against in a violent way. Missionaries in Los Angeles were encouraged to keep knocking doors and continue to live by our regular schedules. I remember feeling so upset about hearing that someone I knew in my church owned a restaurant in LA, and people from the gay community found out that she had given money to support Prop 8. They were determined to destroy her business. They rioted outside of her restaurant so people wouldn’t go in, and her business nearly failed. I could go on and on about hearing stories like this one, and some people might think I’m making it up, or that I’m retelling a story from a crazy book; it’s all true. This really caught me off guard, because in my mind at the time, I had a very different perception of those in the gay community. All I was seeing is aggression, violence, and riots outside of our temple. We had a very pleasant discussion with this man about respect, free agency, and how it is important to find common ground during times like these. It completely changed the way I viewed the situation. As we all know, there has been much debate and many arguments on the Supreme Court decision making gay marriage legal in all states. Although I have my beliefs and I experienced the some of the worst things possible during my mission, I believe that it’s now time to stop fighting each other and start mutually showing respect for each others’ beliefs and focus on what brings us together, not what sets us apart. This is what makes America such an amazing country. We still believe in free agency. We are a nation that believes you can live your life the way you want to, as long as it doesn’t negatively affect another person. 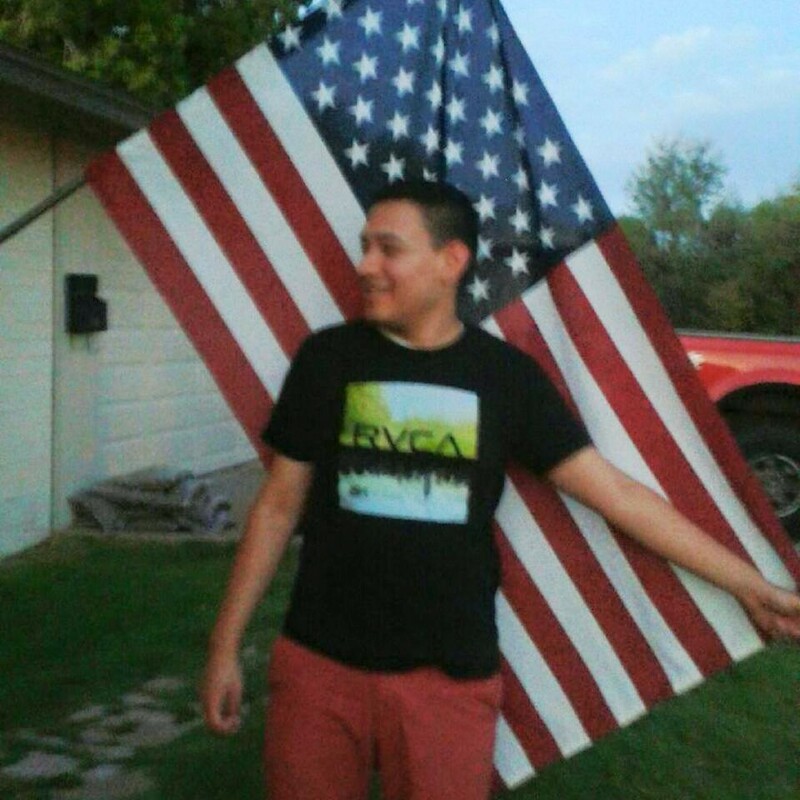 I can be a Hispanic Mormon and you can be gay, and there are can still be love and respect. This is what I propose. Let’s come together as a country and focus on the positive impacts we can have in this world. Let’s come together to fight things such a world hunger, AIDS, our struggling economy, come together to ensure the preservation of our freedoms and safety for the future generations. It makes me sad to think about how much people are suffering in this world, and I think that if we focus on what brings us together more than what makes us different that the world would be a better place. I think I will leave the judging to God and strive to live a full life by coming together with people from all walks of life to try and make this world a better place. Don’t get me wrong, it is okay to not agree on issues, but what I propose is a world where all sides have an opportunity to live their lives as they choose and not being afraid to be persecuted for doing so. I hope that my Modern Perspective can shed a little bit of positivity and love in this world. I like your perspective Jonathan. Well written. Please email us with any questions, comments, thoughts, or pitches. We would love to hear from you.